Catalyst Samples are back and bring their biggest and most comprehensive pack to date. 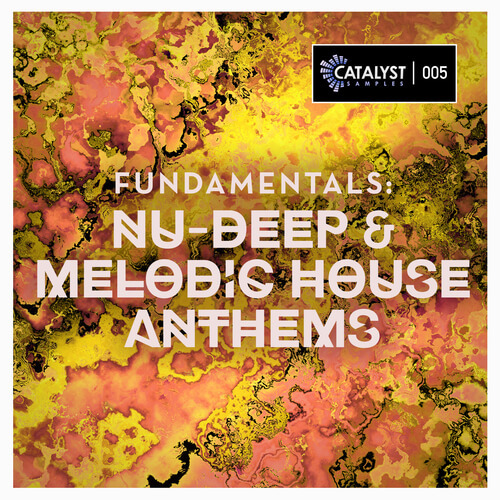 FUNDAMENTALS:NU-DEEP & MELODIC HOUSE ANTHEMS. Everything you need to create your next huge banger, at a low affordable price. Created by a seasoned producer who has had releases with Spinnin’ Deep, Ultra Records, Sony & Toolroom Records, this pack contains a huge amount of different and versatile loops with essential bass loops, nu-skool piano & guitar loops, fat and groovy drum loops, killer fx and unique textures, drum fills, uplifting and mind bending synth loops, and deep & twisted vocal loops. Love the melodic progression but not keen on the sound? No problem.. each of our melodic content is delivered in MIDI too, to offer you maximum flexibility. Love the sound of the bass but not the progression? Not to worry, we have included bass hits straight from the processed bass loops for you to include in your own sampler and create your own bass loops.